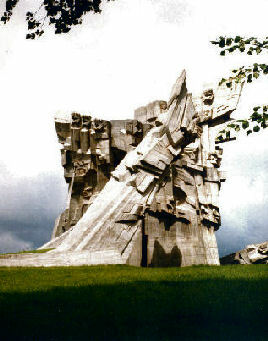 St. Petersburg, this memorial to the Holocaust was dedicated in 2004. 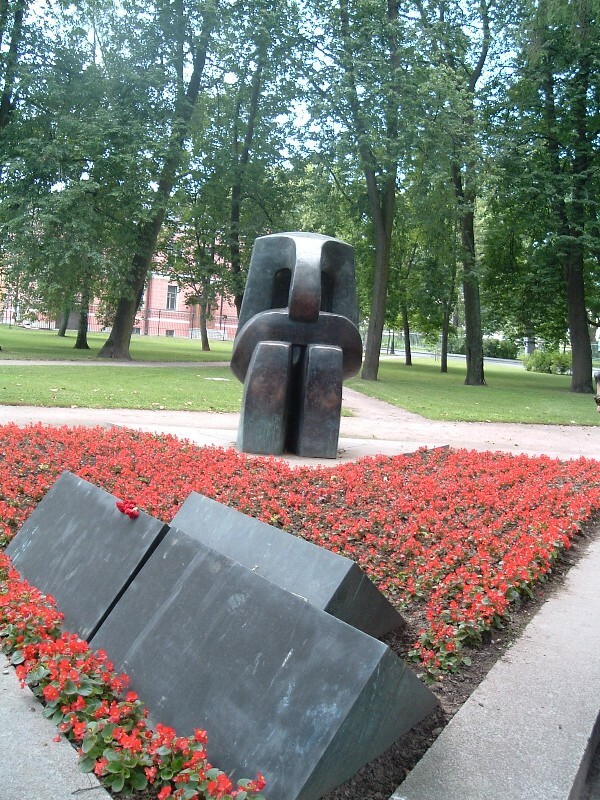 The dedication ceremony took place on the anniversary of the times in October 1941 when Nazi forces massacred several hundred Jews in the streets of Pushkin. "Their blood was spilled like water... and there was nobody to bury them." It was only in 1986 that testimony of this event was recorded. "There were three waves of killing in Pushkin. 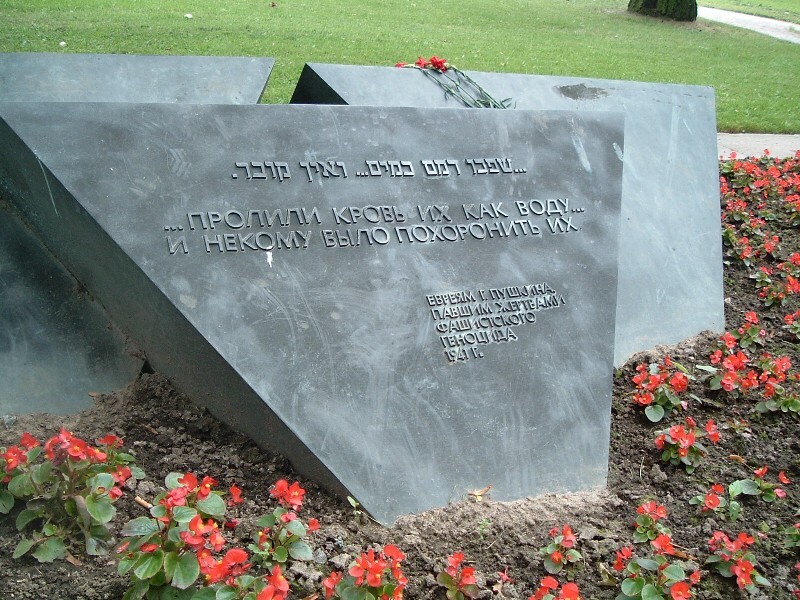 First, Jewish families were rounded up and executed on a central square. Then, the Nazis issued an order obliging Jews to register in the commandant’s office. The hundreds of Jews who came to the office were then brought to the Yekaterina's Castle and shot to death in the neighboring parks. Finally, children were led to their death near the southern branch of Alexander’s Palace, the dead then buried in a ditch..." --from "The Federation of Jewish Communities of the CIS" website. "We will not let go the sword from our hands until the total annihilation of fascism." 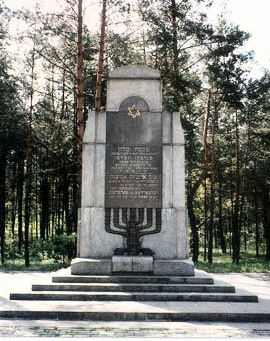 Mass grave site Zmiyevskaya Balka in Rostov-on-Don in Southern Russia. The Nazis massacred 27,000 Jews there in 1943.